OSSINING, N.Y. – People trust their health and money to many pharmaceutical companies and corporations. This is a very necessary industry, where life and survival depends on the prescription medications that doctors and pharmacists assign. They are made to effectively cure a problem, or prevent its progression. This is why when adverse side effects or progression of the disease is felt by the patient, the bulk of the blame goes to the doctors and pharmacists who have given the prescription. Thousands of Americans suffer from the adverse side effects of many faulty pharmaceuticals. Even the widely used and common prescriptions drugs are being recalled due to their unfavorable side effects. In these cases, personal injury lawyers often advise victims to file claims against the pharmaceutical companies responsible for their injuries. 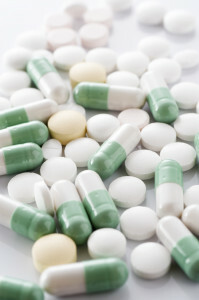 Injuries resulting from faulty prescription drugs are the responsibilities of the people who manufacture the medicines. Pharmaceutical companies are in charge of making sure their products are safe and effective. After that, it is the job of the Food and Drug Administration to ensure that what the pharmaceutical companies claim is right and if the medications are effective without any unidentified adverse side effects. If this process is not followed, faulty pharmaceutical products can cause the patient a lot of unwanted health complications. For a product to be considered as a faulty pharmaceutical it has to be contaminated, provide unwanted effects, or otherwise does not address the underlying symptoms of the ailment. This can be a dangerous situation and a matter of life or death, as many people could develop more health risks and complications due to a faulty pharmaceutical product. When this happens, you may only be headed for medical treatments and rehabilitation, which could put a strain on your finances. For a person already suffering from health problems, you can help get compensation by asking for legal advice and help from certified personal injury lawyers. Trying to get compensation for all the pain and suffering you’ve gone through because of dangerous products is vital, not only for you but also for preventing other people from suffering the same fate. BRIARCLIFF MANOR, N.Y. – When Vikram Sharma began itching all over his body in March of 2009, he thought he had some kind of skin rash. He went to see a doctor who told him he had a problem with his liver, and a few days after that prognosis, Sharma was found in his home unconscious in a pool of blood. Sharma, 48, of Ardsley, was diagnosed with primary biliary cirrhosis, a condition where inflammation in the bile ducts of the liver blocks the flow of bile and leads to liver scarring. Sharma was put on a waiting list to receive a liver transplant, and about six months later, he underwent a transplant operation at Columbia University Medical Center in Manhattan. Sharma was one out of about 20 people at the meeting who had received organ transplants of various types, including liver, kidney, heart and lung. Sharma considers himself lucky to have received a liver from a non-living person so quickly. Unlike many others who have liver problems, Sharma never used alcohol or drugs, and that helped him to be looked on favorably as a liver recipient. “If I had used drugs, I wouldn’t have gotten a liver,” Sharma said. There is always a shortage of organ donors, Sharma and other members of the Transplant Support Organization said. Rudy Masry, a 72-year-old Briarcliff resident who received a kidney from his wife nine years ago, recently spent four days with a group of other transplant recipients recruiting organ donors at the U.S Military Academy at West Point. They signed up 1,114 new organ donors which was a record number of people for a single event. Over coffee and snacks, transplant recipients and their spouses listened to a talk by David Wolf, the medical director of liver transplantation at Westchester Medical Center. Wolf talked about various liver conditions and the prognosis for patients with these conditions after they receive a liver transplant. Carol Johnson, 73, of Valhalla, who received a double lung transplant at Columbia University Medical Center 10 years ago, said the hardest thing to get used to after receiving her transplant was being able to breathe without canisters of oxygen. Superintendents throughout the area attended a conference on the new teacher evaluations in January in Briarcliff Manor. SLEEPY HOLLOW, N.Y. – School officials throughout the state are protesting the implementation of new teacher performance reviews even as Gov. Andrew Cuomo has threatened the loss of $805 million in state aid if the changes aren’t enacted. But superintendents and principals say the new teacher evaluations are being implemented far too quickly. Under the new teacher review process, publicly available ratings will be compiled based on principal observations, state test scores and other locally-decided measures. However, school officials have noted that current state tests could only evaluate math and English teachers in fourth-through-eighth grades. Schools officials in the Union Free School District of the Tarrytowns have said that the state hasn’t told them how other subjects will be held accountable. “We understand that there’s a plan for getting this together, but it’s difficult for any of us to understand how this all can be in place for the 2012-13 year,” said Barbarann Tantillo, assistant superintendent for instruction and personnel. The new evaluations are a product of Race to the Top, a federal program designed to give funding grants to states who pledge to implement education policies set by the Obama administration. A total of 1,213 principals throughout the state have signed an open letter protesting the structure of the new teacher reviews, saying educational research doesn’t support the current plan and that tax dollars will be redirected outside of the classroom to help pay for the evaluation process. They also say including student test scores will lead to state tests taking center stage in the classroom. Allan acknowledged that there needs to be a way to evaluate teachers, but said the new review process was too public. She especially took issue with rating first-year teachers. “The rating of brand-new teachers and identifying them in their first few years of practice as basic—the high-stake reaction that that’s going to cause to the public is a huge concern,” she said. OSSINING, N.Y. – Arminda Couto Pinto, formerly of Ossining, died Jan. 15 at her daughter’s home in Andes, N.Y. She was 90. Born in Portugal on Aug. 27, 1921, she was the daughter of Luiz and Maria Couto. She married Americo Pinto on April 2, 1941. Pinto was a former book processor for the Pleasantville Packing Company. Pinto was a longtime Ossining resident before moving to Andes 12 years ago. She is survived by her daughter Maria (Gerald) Norris, her sons Fernando (Mirtha) Pinto and Jose Pinto, two brother-in-laws, 10 grandchildren, 14 great-grandchildren and several nieces and nephews. She was predeceased by her husband Americo on Feb. 17, 2000 and her sons Joaquin and Manuel Pinto. Visiting hours will be held from 6 p.m. to 8 p.m. on Friday at Dorsey Funeral Home in Ossining. The funeral mass will be celebrated at 10 a.m. on Saturday at Holy Innocents Church in Pleasantville, followed by interment at All Souls Cemetery in Pleasantville. Memorial donations may be made to Catskill Area Hospice & Palliative Care, 1 Birchwood Drive, Oneonta, N.Y. 13820. 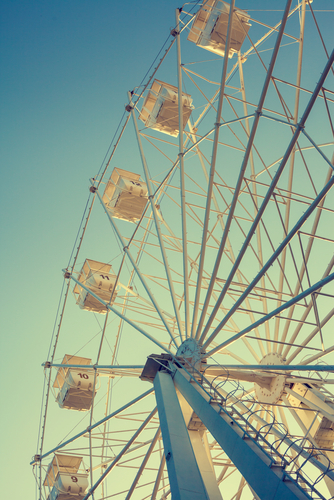 Rye, N.Y. – The fate of Rye Playland, a small amusement park located in Rye, New York, will be decided in the coming weeks. Lawmakers in the town of slightly more than 15,500 people are left to choose between four proposals for the amusement park’s future. One of these plans is receiving a lot of negative attention from some of the town’s inhabitants. The Sustainable Playland proposal for the park would cost $34 million and greatly reduce the number of rides in the park in favor of a mini water park, fields, restaurants, and a huge lawn that will provide a view of Long Island Sound. This proposal is meeting great opposition from many residents of Rye for eliminating too many rides and removing too much parking. A website and petition called “Save Playland Amusement Park” hopes to fight the Sustainable Playland proposal and promotes two of the other three proposals for the future of Playland. These other proposals include a $25 million plan to add some fields, rides, and water attractions. A different $26.4 proposal would add mini-golf, a children’s play area, and new rides. The final proposal would rebrand the park as Legoland New York. The petitioners seem to be dead set on ensuring the $34 million plan is not chosen, with the petition gaining more than 1,200 signatures in its first couple weeks.